Is this the end of the Puerto Rican dream? President Donald Trump has finally started tweeting about the disaster in Puerto Rico, and his messages show that he — and we as a nation — still haven’t digested the full implications of the post-Hurricane Maria situation. The underlying reality is that the political and economic model for the island just isn’t working any more, and the dream of Puerto Rican economic convergence has been laid to rest once and for all. That in turn says something bad about the rest of this country, namely how quickly we will give up on the possibility of transformational change. The traditional American dream is that the poorer parts of this country would, sooner or later, start catching up to the richer parts. The American South, after an extreme divergence, gained on the North after World War II. But Puerto Rico never made the same leap, and in relative terms has held roughly steady since 1970. Worse yet, the island has about $123 billion in debt and pension obligations, compared with a gross domestic product of slightly more than $100 billion, a number that is sure to fall. In the last decade, the island has lost about 9 percent of its population, including many ambitious and talented individuals. In the past 20 years, Puerto Rico’s labor force shrank by about 20 percent, with the health-care sector being especially hard hit. 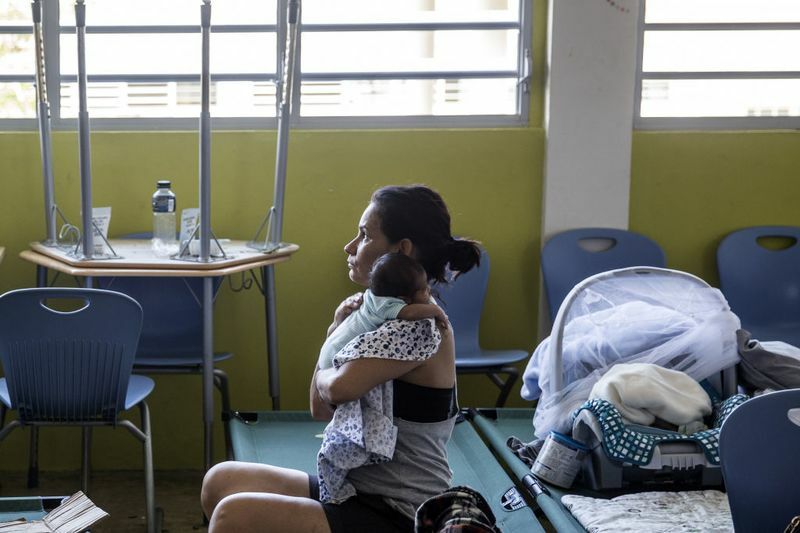 The population of children under 5 has fallen 37 percent since 2000, and Puerto Rico has more of its population over 60 than any U.S. state. Hurricane Maria has produced conditions unprecedented in recent American experience. Much of the island has no fresh water and no phone service, and the status of the food supply and its accessibility is uncertain. Restoring electricity will take months, the health-care system isn’t functioning, and a major dam may yet break, causing further dangerous flooding. Those developments will worsen the already dire long-term prospects for Puerto Rico. Tourism no longer exists after the storm, and presumably outside investment will decline in both the short and longer run, due to damaged infrastructure and the possibility that major storms are now more likely as the climate changes. Federal aid is being mobilized, but that won’t even restore the pre-storm state, which was already fiscally insolvent. Nydia Velazquez, a representative from New York, will be requesting a one-year waiver from the Jones Act, a federal law that requires cargo shipments to Puerto Rico take place on U.S. vehicles. The act was originally intended to help the U.S. shipping industry, but it raises prices in Puerto Rico by raising costs. A one-year waiver is better than nothing, but it’s sad we cannot repeal the Jones Actaltogether, or at least permanently exempt Puerto Rico. It’s a sign of how little we are willing to budge to solve what is a catastrophic problem for 3.4 million Americans. Statehood would have been Puerto Rico’s best chance for economic growth. One of the wisest features of American policy after the Revolution was the emphasis on rapid statehood, rather than territory status. When regions moved from territories to full-blown states, it provided a big boost to their per capita incomes. Puerto Rico never did the same, in part because its citizens voted not to, and in part because the mainland was reluctant to absorb a Hispanic territory. These days, political polarization renders statehood hard to imagine, as Puerto Rican senators likely would be Democrats. Increasingly, it seems that many parts of the Western world might never “catch up,” including Greece, southern Italy, much of the Balkans and much of Latin America, in addition to Puerto Rico. One of the pleasing features of the 1990s, in retrospect a delusion, was the notion that proper policy and good multilateral institutions would bring most of the world into consistent, steady-state growth at a higher rate than what the wealthier countries could manage.